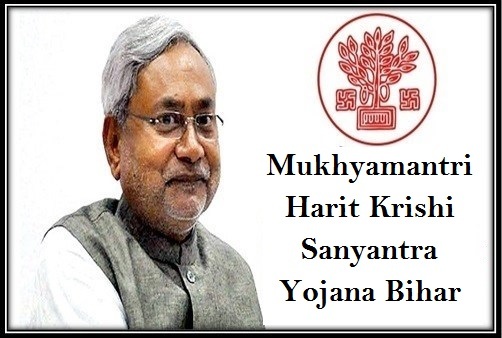 The Bihar government is all set to offer assistance to these farmers with the implementation of Mukhyamantri Harit Krishi Sanyantra Yojana. Under this project, farmers will be able to rent agricultural machinery directly from the state government. A nation that is mainly dependent on agriculture must have adequate support systems for the betterment of this sector. Most farmers belong to financially weaker sections. Development of agriculture in the state – With the implementation of this project, common farmers of Bihar will be able to double their earnings with more crop production. Machines will make the task easy and ensure better returns. Machinery at low rent – Under this scheme, state government will make sure that farmers, who don’t have their own agricultural machines can get these directly from the state government. After the implementation of this scheme, they will no longer have to pay more rent for each agricultural machine, booked from other farmers. As the rent is very low, farmers will not have to worry about additional financial burdens. Construction of machinery bank – The state government, in cooperation with the Primary Agriculture Cooperative Credit Society will create Krishi Sanyantra Bank. Farmers will be able to book farming machinery directly from these banks on rent. Financial expenditure – An estimate states that the state government will have to shell out as much as Rs. 20 lakhs for the construction of each Agriculture Machineries Bank. Distribution of funds – The Bihar authority will offer 50% of the total expenditure to the Primary Agriculture Cooperative Credit Society as credit. The remaining 50% will be granted in the form of contributions or endowments. The state government has already set aside a whopping Rs. 1692.60 crore for the implementation of this project. Machines available in these banks – Apart from machines, which assist the farmers in growing and harvesting the crops, farmers will be able to attain irrigational machines from these machinery banks. Residents of Bihar – As this project has been implemented by the Bihar government, there are no extra points for guessing that only legal residents of this state will be able to get the benefits of this scheme. Thus, all applicants will have to submit their residential certificates during enrolling. Identification – For background check of the applicants, the farmers will have to submit voter card, Aadhar card or ration card with the registration form. Framer type – Nothing has been clearly mentioned about the type of farmers who will be able to get the perks of this scheme. The state will soon come out with the other eligibility and document requirements related announcements. The official announcement of this scheme has been made in the Bihar Cabinet Committee. The construction of the machinery banks will require sometime. So, the respective authority has not made any elaborate declarations. Nothing has been mentioned about the application process or viability of the enrollment form. We will offer these important details to our readers as soon as the Bihar government makes relevant announcements. Poor farmers don’t have the financial means to invest in expensive machines. With the implementation of this project, these agricultural labors will no longer have to worry about high rent payment or reduced agricultural production. With the correct machines at their disposal, and other facilities, the farmers of Bihar will be able to increase their farm input easily.